November 17, 1989 - National Street in Prague. 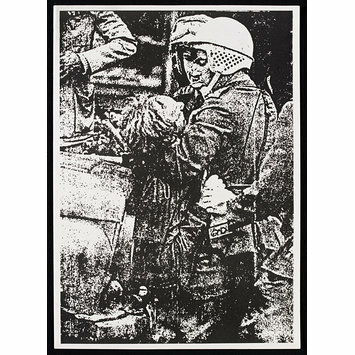 Poster publicising police violence against people participating in street demonstrations through an image reproduced from an enlarged photograph showing two riot police wearing white helmets and carrying batons. They are manhandling an injured man who shows evidence of a head injury. 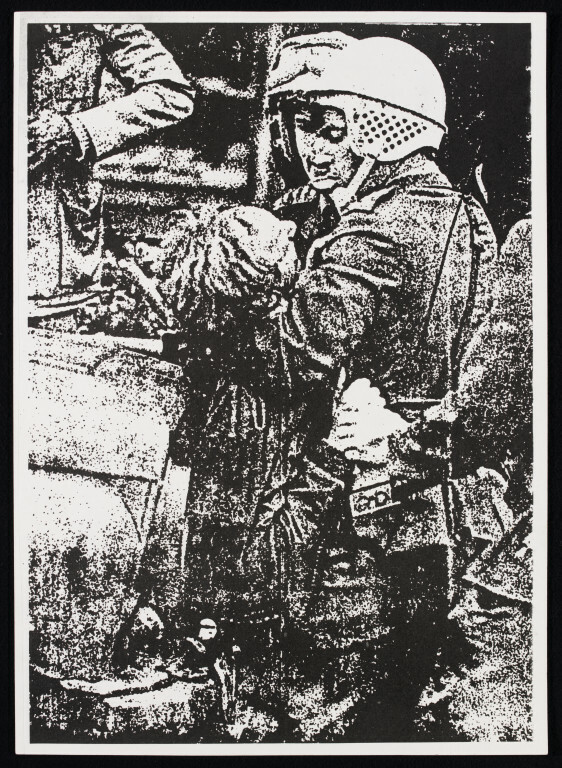 Poster presenting the enlarged detail of a head injury, taken from a photograph of riot police restraining a demonstrator, printed and published in former Czechoslovakia, 1989.